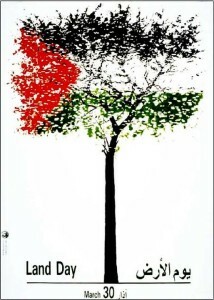 This round-up was published in conjunction with a Palestinian BDS National Committee statement looking ahead to 2014. During 2014, the BDS movement stepped further into the political mainstream and saw major institutions join the boycott, the statement noted. French translation here. Five major trade unions in the Galicia region of the Spanish state announce their support for BDS. 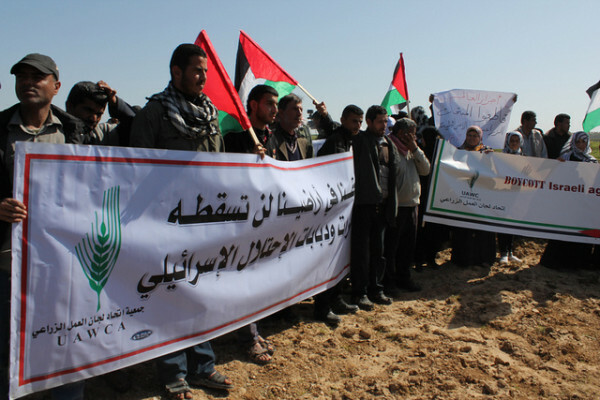 Palestinian farming organisations launched an appeal for civil society action against Israeli agricultural export companies such as Mehadrin and Arava due to their role in the colonisaShuggie Otistion of Palestine and Israel's destructuion of Palestinian farming. The appeal and accompanying briefing titled Farming Injustice were launched as part of a day of action that saw demonstrations take place in Gaza and across 40 cities in Europe. Students of the Dundee University Students’ Association (DUSA) in Scotland voted overwhelmingly in its annual general meeting to cut ties with Anglo-Danish private security provider G4S over its role in Israel's prison system and occupation. International supporters of the Palestinian struggle for freedom, justice and equality mark Land Day with actions and initiatives to further campaigns for boycott, divestment and sanctions (BDS) against Israel. La Trobe University Student Union implements policy in support of BDS by cancelling a competition in which a SodaStream machine was due to be the prize. SodaStream is an Israeli company whose drinks machines are manufactured in an illegal Israeli settlement. “Just as individual sanctions against apartheid in South Africa led ultimately to its demise there, so individual and collective sanctions against the state of Israel will end apartheid and suffering in Palestine,” says local government motion. West Dunbartonshire and Stirling councils also support boycott. The board of the York Federation of Students in Canada votes to support BDS by 18 votes to 2 and and urges York University to withdraw its investments from companies that are selling weapons and military equipment to Israel. Pro-Israel organisations fail comprehensively in their Israeli government-backed efforts to have a UK employment tribunal rule the boycott position of the University and College Union discriminatory. G4S provides security equipment at Israeli prisons, checkpoints and settlements. Actions against G4S were organised in 11 countries to coincide with Palestinian political prisoners day. Protests were held outside G4S offices and the Scottish Trade Union Congress and organisations across the Middle East issued statements in support for the campaign against G4S. The General Membership of the Association for Asian American Studies (AAAS) in the United States voted unanimously in favour of a resolution in support of the boycott of Israeli academic institutions. Thousands of students at Sussex University in the UK vote in favour of resolution urging the student union to back campaign pressuring the university to cancel its contract with Veolia over the role the French multinational plays in operating infrastructure for illegal Israeli settlements. The motion by the annual congress of the Teachers Union of Ireland, which refers to Israel as an “apartheid state”, calls for “all members to cease all cultural and academic collaboration with Israel, including the exchange of scientists, students and academic personalities, as well as all cooperation in research programmes”. The motion was passed by a unanimous vote during today’s morning session. “Israel does not listen to words or motions and continues to abuse human rights and to act in violation of international laws. As in South Africa, it is only through the peaceful actions of campaigns such as the BDS that any change will happen,” argued the statement approved by the Student Representative Council at the University of Sydney. The Association for Asian American Studies votes to support the academic boycott of Israeli academic institutions, becoming the first US academic organisation in the US to do so. 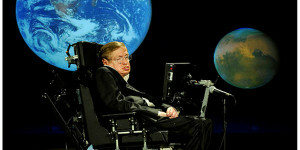 World renowned physicist Stephen Hawking pulls out of conference in honour of Israeli president Shimon Peres. A statement published by the British Committee for the Universities of Palestine with Hawking's approval described it as "his independent decision to respect the boycott, based upon his knowledge of Palestine, and on the unanimous advice of his own academic contacts there". The decision to open an investigation follows an application from the Stop the JNF campaign to the Charity Commission for the removal of Jewish National Fund charities from the UK register of charities. The University of Sheffield decided not to renew its waste collection contract with multinational corporation Veolia following a campaign initiated by the campus Palestine Society and supported by the student union. The decision capped a year of successful and intense activity by UK student activists. Director of Bombay! and Monsoon Wedding refuses an invitation to take her latest film The Reluctant Fundamentalist to Israel, citing the Palestinian call for cultural boycott in a series of Tweets. The Killers had already received half of their fee for the gig when they announced that they were cancelling the performance following letters and appeals from campaigners. Following years of lobbying by civil society on the issue, the EU issues guidelines preventing Israeli ministries, public bodies and businesses that operate in occupied Palestinian territory from receiving loans worth hundreds of millions of Euros each year from the European Investment Bank. The guidelines also stop awarding grant funding to Israeli ministries, public bodies or private businesses for activities that take place in occupied Palestinian territory, even if they are headquartered inside Israel’s pre-1967 borders. “No matter the reason TIAA-CREF dropped SodaStream, we view this as a conscientious decision.” said Sydney Levy of the We Divest Campaign, who campaign for TIAA-CREF to divest from companies that participate in Israeli violations of international law. Media reports from the Netherlands that at least two large retail chains in the country have stopped selling goods produced in Israeli settlements. Nordea excludes companies following engagement by Norwegian People’s Aid and the Norwegian Union of Municipal and General Employees. Veolia reveals that it will no longer operate bus lines for settlers in the occupied West Bank as the company continues to lose contracts in Europe and the US due to its support for Israeli apartheid. 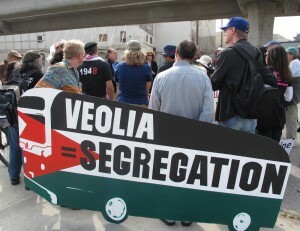 Veolia continues to operate the illegal Jerusalem Light Rail project. Industri Energi, a trade union for workers in the energy and heavy industry sectors, sacked G4S as the security provider for its offices over the company's role in Israel's prisons, checkpoints and settlements. In the same week, the East London Teachers Association passed a resolution condemning G4S' role in the detention of Palestinian children. Circus Maximus (Norway), Haken (UK), and Bumblefoot (USA), were supposed to perform in Israel at the Progstage rock festival. Following their cancellations following discussions with BDS activists, the entire festival is eventually scrapped. 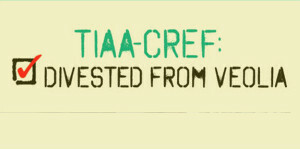 US pension giant TIAA-CREF removed Veolia Environnement from its Social Choice Funds portfolio following pressure from the We Divest coalition. Cape Town based Trauma Centre issued a public statement opposing G4S role in Israeli prisons where Palestinians are held without trial and tortured. The major French left party, whose leader Jean-Luc Mélenchon won 11% of the votes in the 2012 presidental elections, also pledged to support campaigns by BDS France. 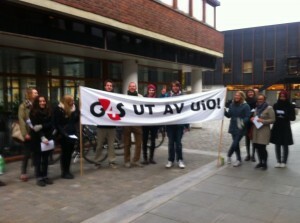 The University of Bergen in Norway chose not to use G4S as its security contractor due to the firm’s role in the Israeli prison system and illegal Israeli settlements. Two major UK universities opted not to award G4S control of campus security services following student campaigns criticizing the company. Vitens, the largest supplier of drinking water in the Netherlands, ended its cooperation agreement with Israel’s national water company Mekorot because of its role in the theft of Palestinian water. Meanwhile, the Dutch government takes steps to prevent an Israel-Netherlands business forum being used to develop links with companies operating in illegal Israeli settlements. The UK government published guidance warning businesses about the problems and risks associated with doing business with illegal Israeli settlements. The Romanian government announced it will stop sending construction workers to Israel if the Israeli government does not pledge they won’t be working in the West Bank. Brazilian social movements campaign against the free trade agreement between the Mercosul and Israel, Colombian groups launch Veolia petition and Mexican activists protest Israeli propaganda events.